Creditable withholding tax (CWT) is the tax which is withheld by the buyer/withholding agent from his payment to the seller for the sale of the seller’s ordinary asset/services, and which tax is creditable against the income tax payable of the seller. I know this sounds confusing so let me tell you about the withholding tax system first. Disclaimer: While great effort has been taken to ensure the accuracy of the discussion here as of its writing, this is not intended to replace seeking professional services. Do read up on the relevant laws and regulations also. We all know that the ordinary income of a person/corporation is subject to regular income tax. Under the withholding tax system, the government gives the buyer the responsibility to withhold a certain percentage of his payment to the seller and remit the same to the government. Thus, the amount remitted by the buyer to the seller is less than the purchase price. The buyer should provide the seller with BIR Form No. 2307 (Certificate of Creditable Taxes Withheld) which states the amount of the taxes he withheld. The tax withheld is called the withholding tax and the buyer in this case is called a withholding agent. Please note that this only applies to the ordinary income of the seller, as opposed to his capital gain. Please refer to my earlier post on the difference between ordinary assets and capital assets. “What is the rationale for this system?”, you may ask. To put it simply, the tax withheld by the buyer acts as the advanced payment of the seller’s taxes. Since the seller will only pay income taxes on a quarterly basis, and the government spends all throughout the year, it would be difficult for the government to operate if it only gets income taxes quarterly. Also, since the buyer withholds only a small percentage of the seller’s gross receipts (let’s say 2%), the government is alerted that the seller realized income to the extent of the grossed-up amount of the taxes withheld. For example, P2,000.00 which pertains to 2% withholding tax means that the seller sold P100,000.00 worth of assets/services for which he should pay income taxes. When the time comes for the payment by the seller of his income taxes, and he doesn’t declare the income from which the buyer withheld taxes, a discrepancy will arise and the government will have a tip to investigate whether the seller is paying the correct taxes. Take note, the Bureau of Internal Revenue (BIR) already has computer software in place which determines discrepancies automatically. 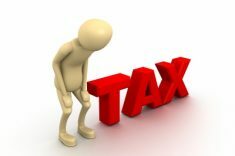 On the part of the buyer, he must withhold taxes, otherwise, he will not be able to deduct his expense. 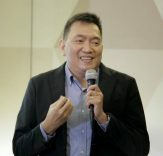 For example, if his expense is P100,000.00 and he is required to withhold 2% of this or P2,000.00 and he does not withhold and remit this amount, for income tax computation purposes, he may not deduct his P100,000 expense from his taxable income. Thus, if his gross income is P200,000.00 and he may not deduct the P100,000.00 expense (assuming there are no other deductible expenses of course), he will pay taxes based on a net income of P200,000.00 instead of P100,000.00. 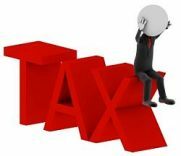 On the part of the seller, since the taxes withheld act as his advanced payment of his income tax, when the time comes for the quarterly payment of income taxes, he will subtract the tax withheld from his income tax payable. For example, if his income tax payable is P32,000.00 and the tax withheld from him is P2,000.00, then he will only pay P30,000.00 income tax. As proof of the taxes withheld, he should attach the BIR Form No. 2307 (Certificate of Creditable Taxes Withheld) provided by the buyer to his income tax return. As earlier noted, this only applies to the sale of real estate which are ordinary assets of the seller. 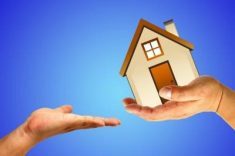 Thus, when the real estate sold is a capital asset to the seller, his income from the sale of real estate will be subject to capital gains tax, and no creditable withholding tax shall be imposed on the transaction. Please refer to my earlier post about ordinary assets vs. capital assets. From hereon we will assume that we are talking about the sale of ordinary real estate assets. b) the fair market value determined in accordance with Section 6(E) of the Code. Please note that the sale of foreclosed properties by banks is subject to creditable withholding tax of 6% because banks are not considered as habitually engaged in the real estate business, and properties acquired by banks through foreclosure sales are considered as ordinary assets pursuant to Revenue Regulations No. 7-2003. Section 4 of RR No. 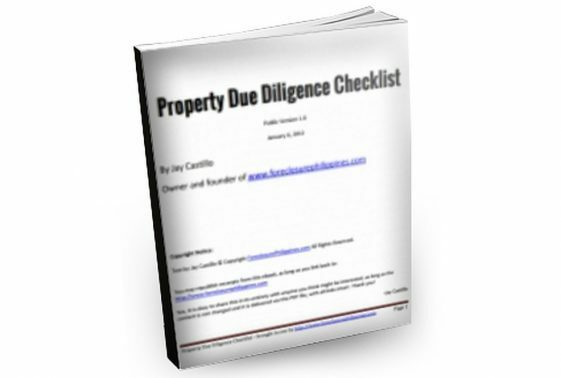 004-08 dated February 19, 2008 provides for the time and place of payment of creditable withholding tax and DST on the sale, exchange or other mode of onerous disposition of real properties classified as ordinary assets. 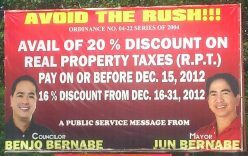 Creditable withholding taxes deducted and withheld by the withholding agent/buyer on the sale, transfer or exchange of real property classified as ordinary asset, shall be paid by the withholding agent/buyer upon filing of the return with the Authorized Agent Bank (AAB) located within the Revenue District Office (RDO) having jurisdiction over the place where the property being transferred is located within ten (10) days following the end of the month in which the transaction occurred. The creditable withholding tax return is BIR Form 1606. Taxes withheld in December shall be filed on or before January 15 of the following year. 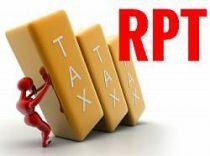 Please note that this is subject to the rules prescribed by Electronic Filing and Payment System (EFPS) regulations in case the taxpayer is an EFPS taxpayer. Useful tip: You can find the AAB’s for each RDO in the BIR website. Just click on the RDO number concerned. Under Section 2.57.2 (J) of Revenue Regulations (RR) No. 2-98, as amended by RR No. 17-2003, if the sale is a sale of property on the installment plan (i.e., payments in the year of sale do not exceed twenty five percent (25%) of the selling price), no withholding is required to be made on the periodic installment payments. In such a case, the applicable rate of tax based on the gross selling price or fair market value of the property at the time of the execution of the contract to sell, whichever is higher, shall be withheld on the last installment or installments immediately prior to such last installment, if the last installment is not sufficient to cover the tax due, to be paid to the seller until the tax is fully paid. If the sale is on a “cash basis” or is a “deferred-payment sale not on the installment plan” (that is, payments in the year of sale exceed 25% of the selling price), the buyer shall withhold the tax based on the gross selling price or fair market value of the property, whichever is higher, on the first installment. If the sale is a sale of property on the installment plan [i.e., payments in the year of sale do not exceed twenty five percent (25%) of the selling price], the tax shall be deducted and withheld by the buyer from every installment which tax shall be based on the ratio of actual collection of the consideration against the agreed consideration appearing in the Contract to Sell applied to the gross selling price or fair market value of the property at the time of the execution of the Contract to Sell, whichever is higher. In any case, no Certificate Authorizing Registration (CAR)/Tax Clearance Certificate (TCL), shall be issued to the buyer unless the withholding tax due on the sale, transfer, or exchange of real property has been fully paid. 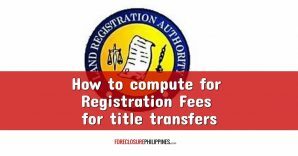 For the sale of property on installment basis or deferred payment basis where the Contract to Sell is always executed before the execution of the Deed of Sale, the said Contract to Sell must be attached to the Deed of Absolute Sale executed upon completion of the payments and the duly notarized original duplicate copy of both documents must be presented to the RDO having jurisdiction of the place where the property is located for validation of the correctness of issuance of CAR/TCL. If upon completion of the payment of the purchase price of real property classified as ordinary asset, but before the execution of the Deed of Sale, the buyer decides to assign his right over the property to another person for a consideration, the assignment shall be considered a separate sale of real property and, therefore, subject to the creditable/expanded withholding tax (EWT) or final withholding of capital gains tax, as the case may be, which shall be withheld by the assignee of such property based on the consideration per Deed of Assignment or the fair market value of such property at the time of assignment, whichever is higher, and to the DST imposed under Sec. 196 of the same Code using the same basis. It is to be clarified, however, that sale of interest in real property (real property purchased on installment covered by Contract to Sell which was sold by the original buyer before it was fully paid) shall be taxable on the part of the original buyer (now seller) based on the realized gain thereon which is measured by the difference between the agreed consideration and the amount actually paid by the said original buyer. Want to start investing in foreclosures? Enter your e-mail address below! If your mailbox is getting full, you may also subscribe to our RSS feed. 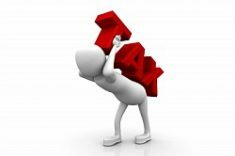 Previous PostWhat is Capital Gains Tax on Real Estate?